There was a time in my life where I felt completely lost in my life. I knew that the job I was at and the way I was living my life was leaving me unfulfilled but I had no idea what to do next. It was a tough time and I spent a lot of time struggling to figure out how to handle it. Eventually, I was able to change my life and create a life I love. It took a lot of work but in the end it was so worth it. I still have a long way to go but now I feel like I have a clear plan and a way to get there which is a great feeling. In this post, I’m going to share all of the things I did to change my life. I hope it helps you create a life that you love. I love creating a big audacious vision for my life. This blog started as a dream a couple years ago and now I’m lucky enough to be self-employed from my own online business. If I hadn’t had the vision of being able to work for myself I would have never got here. Creating a life you love often starts with a dream or an exciting vision of your future. I love making vision boards because it makes me really sit down and ask myself what I want my life to look like. Here are some journal prompts to help you figure out your own vision you can use to create a life you love. If you could live anywhere where would you live? How would it be decorated? What is your house decorated like? What are your vacations like? Once you have journaled about what you want your life to look like find pictures to represent your vision for the life you want to create. 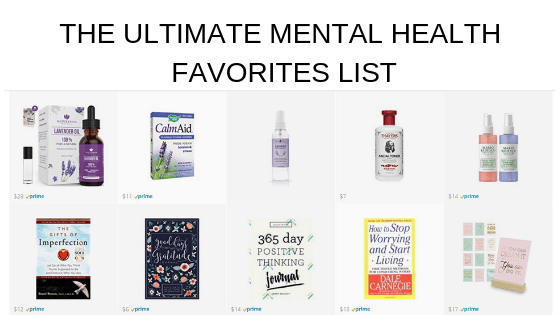 I usually find a bunch on Pinterest and then pick out my favorites for my board. I have a bulletin board that I keep in my office so I can change out the pictures on my board easily. Once I have my vision for my life I like to break it down into goals so I can start creating a life I love. I am a fan of setting 90 day goals. What could you do in the next 90 days to start moving closer to your dream life? I use The High Performance Planner to help me plan out my day in an intentional way. It has a section to fill out in the morning and a section to fill out at night so I can make sure I am on track to hit my goals and I am using my time in an intentional way. If you’re interested in learning my exact goal setting system I have a whole workshop about it you can access in the Membership Site. When I started consuming quality media my life began to change dramatically. I cut out almost all of the shows I used to watch on Netflix and mindless YouTube videos I would watch at night and replaced them with things that were motivating, inspiring or educational. I barely consume any TV content anymore, most of my media comes from podcasts and audiobooks. This switch has had a huge impact on my life and how I feel. There are so many resources available online now and thanks to the internet we have access to the best motivational speakers, therapists and personal development coaches on the planet. The internet has made it so much more accessible to learn from the best people in any industry you’re interested in. It’s a great opportunity and I find the more positive media I consume the more I want to consume. I don’t even really enjoy mindless media anymore because I’m so used to listening to positive messages all day. Once you have a vision for the life that you want to create find a mentor to learn from. Spend some time researching people that are already doing what you want to be doing in one way or another. Their success doesn’t have to look exactly like what you want to do but finding someone to help guide you on this journey will make your progress way faster than if you try to do it on your own. Reach out to them and ask if you can take them to coffee or start following them online and see if there is a way you can work with them. Many people do 1:1 coaching or facilitate mastermind groups where they mentor other people in their industry. Try to find any way you can to be around that person. If you can’t get direct access to them you can still follow them on social media and consume what their life looks like or listen to any interviews you can find online with that person. The more you see that what you want to do is possible the less limiting beliefs you will have come up when you set your goals to create a life you love. If you want to create a life you love you are probably going to have to be willing to do some things that make you uncomfortable. When I first decided I wanted to be a blogger I was too scared to show any of my friends or family or even to put my picture on my blog. I have had to constantly push myself out of my comfort zone to try and create my dream life. If I hadn’t been willing to do things that were scary and uncomfortable I would have never launched this blog or my podcast. I’ve found the more I’ve done scary things the easier it’s gotten to take action even when I’m afraid. You can’t let fear stop you from creating a life you love. This is your life and you deserve to be happy and have exactly what you want. There have been lots of times when I didn’t know what my dream life would even look like. If you’re feeling stuck or you don’t know what direction you’re supposed to take I suggest trying new things. Explore new interests, take a class or meet new people. Sometimes you need to be around fresh energy and perspectives to inspire you to change your life. It can be hard to get inspired to create a life you love when you’re doing the same old things day in and day out. There have been plenty of times in my life where I just felt uninspired and stuck. I knew I didn’t want to be where I was but I had no idea what to change in my life or what my next move should be. If you’re feeling that way take some of the pressure off and just challenge yourself to try new things and have a good time. It’s easy to tell yourself stories that you can’t have the life you want or that you don’t deserve it. To this day I still struggle with this and I can fall back into making excuses about why my life is so hard and my dreams are impossible. The truth is there is probably someone already doing what you want to be doing that overcame more obstacles than you will have to. Giving up my excuses empowered me to take risks and invest in myself. It made me show up every day and do the work instead of allowing myself to give up because things got hard. I heard a quote once that said something like “the difference between successful people and people who don’t succeed is that successful people don’t quit”. When I finally figured out what my dream life looked like I decided to make a commitment that no matter what happened or how hard things got I wouldn’t quit. This mindset has served me well and I’ve been able to make a lot of progress towards achieving my goals because I just don’t even consider quitting as an option. It’s easy to internalize old identities that no longer serve you or your goals. For example, if you identify yourself as the “funny overweight friend” but you really desire to get in shape and live a healthy lifestyle that identity is standing in your way. Challenge yourself to step into the version of yourself that is already living your dream life. How does she identify herself? What are her habits? How does she act? Start stepping into the next level version of yourself by identifying yourself the same way the more successful version of yourself would. This has really helped me start to identify myself as someone who is successful and happy instead of continuing to label myself as someone who is depressed and suffering from anxiety. I decided those identities no longer served me and I worked really hard to push myself to start living new identities and to expand how I viewed myself. Changing my identity has allowed me to go after bigger scarier goals and to take more risks in my life. You really don’t realize how much the way you identify yourself impacts your life until you start to challenge those identities and purposefully pick new ones that actually serve you. For the most part, I believe that loving your life starts with your mindset. I am very goal oriented and for a long time, I thought achieving my goals would make me happy. My mindset was that “I’ll be happy when I achieve this thing”. The truth is that once I achieved the goals I was going after I still found myself unhappy and miserable. It wasn’t until I started appreciating the small things and practicing gratitude that I was truly able to start loving my life. I’ve been completing a morning meditation every day with the headspace app that has been helping me learn how to stay in the present moment. My mind tends to wander and worry about things that could happen in the future or dwell on things that happened in the past. Meditation has helped me learn how to gently bring my mind back to the present moment and it’s really been helping me feel better and more positive about life. One of the best things I ever did was to limit my time with negative people. I really try to only spend time with people who are encouraging and support me. I know it’s not always possible to eliminate negative people but you can limit your interactions with them and decide not to take their advice or comments to heart. I only take advice from people who are living their life in a way that I am aspiring to live. People will always want to give you advice but it’s not necessarily good advice or something you need to internalize. I also make a big effort to only follow people on social media that inspire me and post content that motivates me and makes me feel good. I spend a lot of time on social media but all of the media I consume are people that are inspirational and spreading positive messages. There are always going to be things you don’t like about life. That’s just how it goes. Sometimes things are difficult and don’t work out the way you want. I used to constantly dwell and focus on the things that were going wrong in my life or the things that I wish were different. Now I make a big effort to redirect my focus to all the things that are going good in my life and all of the blessings I have. One of the biggest changes I’ve made to help me learn to stop focusing on the negative is to stop complaining. When I’m around other people that are complaining I make an effort to redirect the conversation to something positive. I used to always join in when other people complained but now I really try to raise the dialogue or challenge the negative energy instead. This helped me become aware of my own tendency to complain and helped me look for the good in situations instead of what I didn’t like. 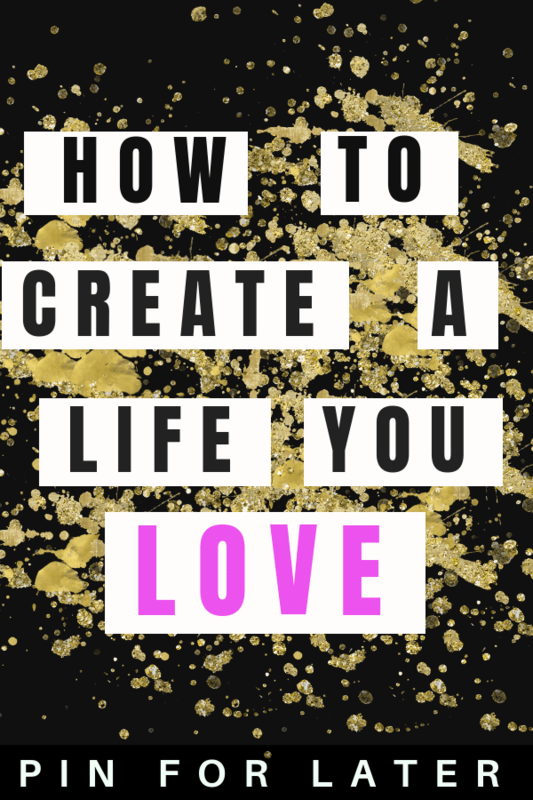 I hope this post helps you create a life you love. If you’re looking for more mental health resources be sure to check out my other posts on mental health and subscribe to my podcast.